When I import MXF video into Premiere Pro CC, I get error "Error Compiling Movie: Unknown Error". How to solve this problem? Many Adobe Premiere Pro user have same experience, don't worry about this. In this guide we will share the Adobe Premiere Pro MXF solution with you. You will can edit MXF in Premiere Pro CC/CS6/CS5 smoothly and without rendering. Adobe Premiere Pro is a timeline-based video editing software application. 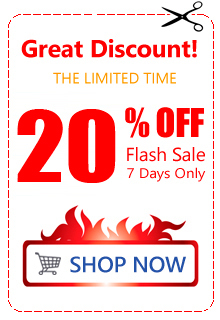 It is part of the Adobe Creative Cloud, which includes video editing, graphic design, and web development programs. 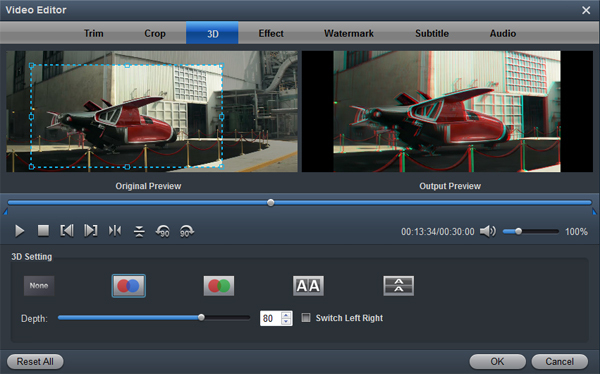 This software is the redesigned successor to Premiere, and was launched in 2003. You can run Adobe Premiere Pro on Mac or Windows system. With this professional editing software, you can edit 10,240*8,192 high resolution video, VST audio plug-in support, and 5.1 surround sound mixing are available. It supports 3D editing with the ability to view 3D material using 2D monitors. New masking and tracking features - including a free-draw Polygon Pen tool - make it easy for video editors to blur out faces, logos, license plates, or anything else throughout a scene. Although supporting a wide variety of video and audio file formats and codecs on both Mac OSX and Windows, you can't load all the .mxf files into Premiere Pro CC, CS6, CS5, etc. MXF is a container format for professional digital video and audio media defined by a set of SMPTE standards. MXF supports a number of different streams of coded "essence", encoded in any of a variety of video and audio compression formats, together with a metadata wrapper which describes the material contained within the MXF file. What kind of MXF can edit by Premiere Pro? By reading parameters, we know that Panasonic Op-Atom variant of MXF video in DV, DVCPRO, DVCPRO 50, DVCPRO HD, AVC-Intra; XDCAM HD Movie; Sony XDCAM HD 50 (4:2:2); Avid MXF Movie; Native Canon XF are supported by Adobe Premiere Pro. For many users, they sometimes may come across difficulty when importing MXF footage to Premiere Pro, especially when importing some raw .mxf video files though they have followed the step-by-step instructions from Premiere Pro. Their camcorders just cannot be recognized at all. For this case, you can convert MXF to Premiere Pro by using a professional MXF Premiere Pro application. 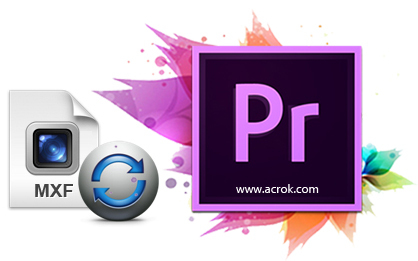 Acrok Video Converter Ultimate for Mac is developed specifically for converting Sony, Canon, Panasonic, JVC, Ikegami, BlackMagic Design and RED MXF files to video formats usable on Adobe Premiere Pro. If you are Windows user, you can download Acrok Video Converter Ultimate for Windows. Ikegami HDS-V10, Sony FS7, Sony F55/F5, Canon XF300/XF305/C500/C300, Panasonic AJ-PX800, Blackmagic Cinema Cameras, Ikegami Camcorder, RED Digital Camera, 4K Camcorder (Canon, Sony, Panasonic), Canon Digital Video Cameras, etc. How to convert MXF for Premiere Pro CC/CS6/CS5? Here the detailed way to convert MXF files to Premiere Pro on Mac OS X is showed. The way to change MXF to Adobe Premiere Pro editing videos in Windows is the same. Just make sure you've downloaded the right version. Download the MXF to Premiere Pro converter and follow up instructions to finish installation, then launch the program on your computer. You can click "Add File" or drag your recorded MXF files into this top MXF conversion software. Several files can be selected and processed at the same time to save up time. 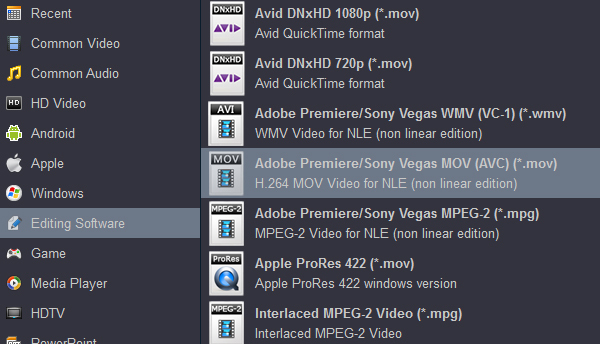 MP4, MOV, WMV and MPG are good formats for Adobe Premiere Pro CC/CS6/CS5 editing, so you can choose one of these format. For example, you can choose "Editing Software" > "Adobe Premiere/Sony Vegas MOV (AVC)(*.mov)" as output. If you want to get 3D video for playing and sharing, you can click Edit icon to add 3D effects onto your loaded MXF files. You can also do some editing on the file you want to convert, like cropping unwanted frame from clips, trimming the length of the file, merging separate videos into a new one for your smooth editing. Last, click the "Convert" button to start MXF to Premiere Pro conversion. That's all you are required to do. In fact, this video converter can help you do more. Once the conversion completes, you can click "Open" to find the videos which can be directly imported to Premiere Pro. You've done. Now you can import and edit MXF files in Premiere Pro CC, Premiere Pro CS6 and Premiere Pro CS5 without any issues. Acrok MXF Converter is so much faster than what I was using before - it's silly. Simultaneous conversion of multiple videos at these speeds - I couldn't ask for more.